Looking to raise your heartrate and work up a good sweat? 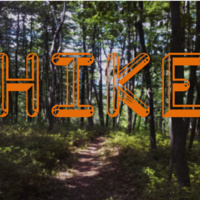 Join us for this free, 3 – 4 mile hike over hilly terrain with a few stops along the trail. Hikers should have sturdy footwear and water. Meet at Kings Gap Hollow Use Area. Hike departs promptly at 6:00 PM, and ends at sunset.